Megpoid V4 Whisper is the virtual vocal voicebank based on "whispering" voice of Megumi Nakajima who is a Japanese singer and voice actress. Megpoid V4 Whisper includes two voicebanks, "Megpoid V4 SoftWhisper" and "Megpoid V4 Whisper". 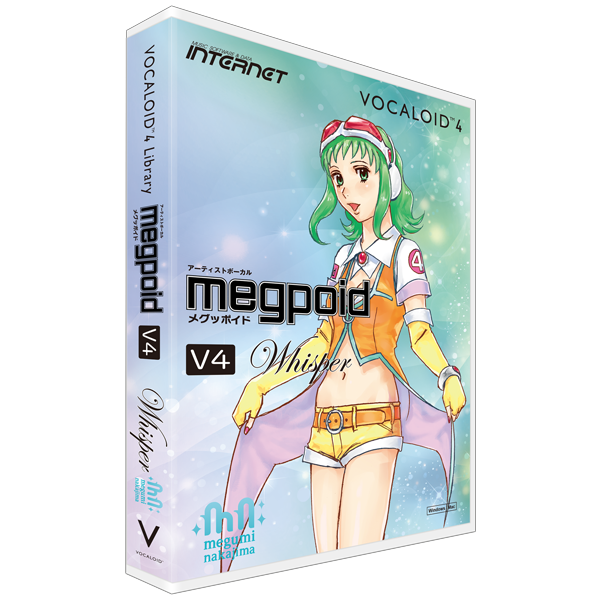 Megpoid V4 SoftWhisper is newly created for VOCALOID4. Megpoid V4 Whisper is improved from "VOCALOID3 Megpoid Whisper".